Being at the forefront of the industry in specialist drainage techniques and technology means that, here at Lanes, we always have the best tools for the job, from a top-flight fleet of super jet vac tankers to the most sophisticated CCTV cameras, all used to help clear, clean and maintain your drains. We think you’ll find our drain cleaning service is second to none. More and more organisations are choosing to keep ahead of the game with Lanes’ pre-planned drainage maintenance programme. It means that your drains get cleaned and checked out regularly, so that any issues can be resolved before they turn into major problems. With each of our pre-planned maintenance programmes being bespoke to your businesses or individual drainage needs. All you have to do is tell us how, what, when and where you’d like us to carry out the drain cleaning work — and we just get on with it. Keeping your businesses drainage system happy and healthy, and giving you one less thing to worry about. Contact us FREE on 0800 526 488 or fill out one of our quick enquiry forms. With a Nationwide network of 24 depots all operating 24/7 365 days a year, Lanes for Drains offer all our customers a fast, effective and efficient service, at a moment’s notice. We at Lanes offer a 24/7 emergency response service to help keep things flowing. 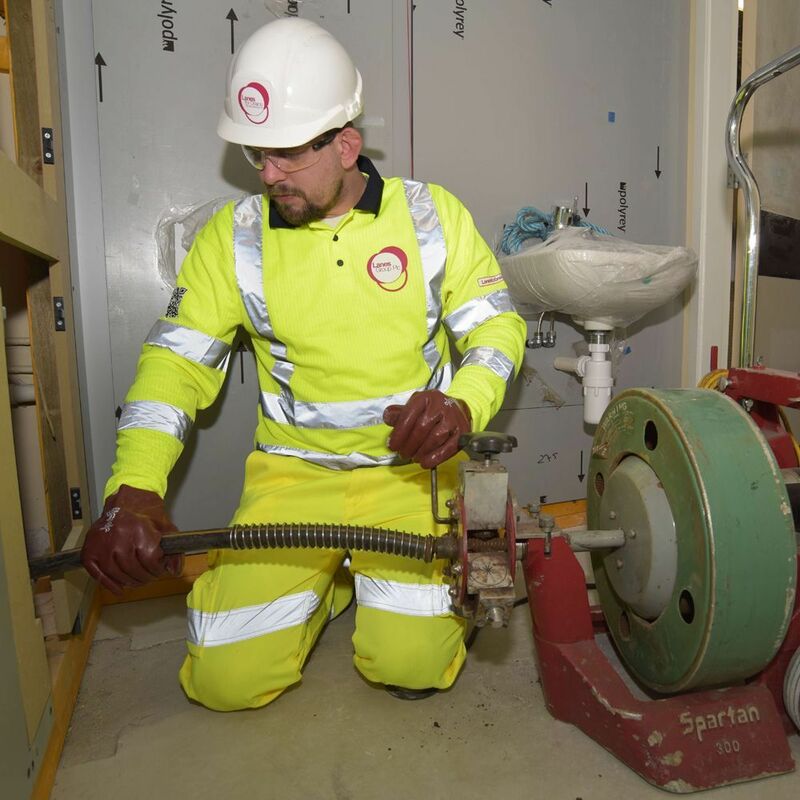 Our engineers work only to the highest of standards and we don’t just look at the underground drains either — our engineers regularly provide cleaning and clearing services for high-level pipes and stacks to ensure that your drainage system has everything working properly. For more information about our commercial drain cleaning services, call us on 0800 526 488 or complete our online enquiry form — we promise to get back to you within 24 hours.